A grab-and-go storage solution! 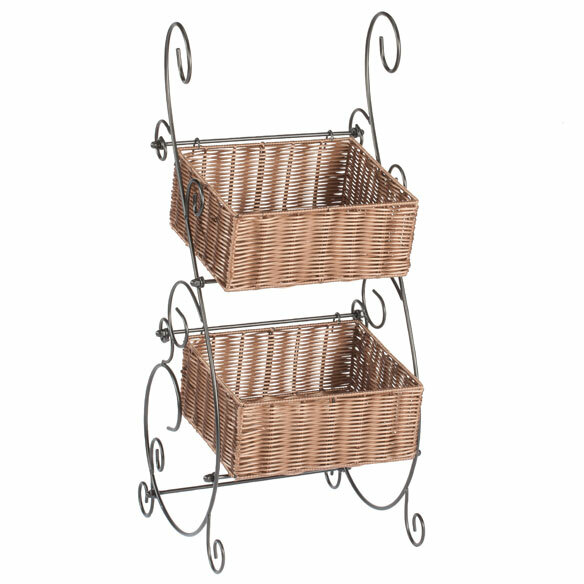 Wicker & metal storage baskets by OakRidge™ is ideal for organizing any room in your home. Perfect for storing remote controls, beauty products, bedside essentials, craft supplies and much more. 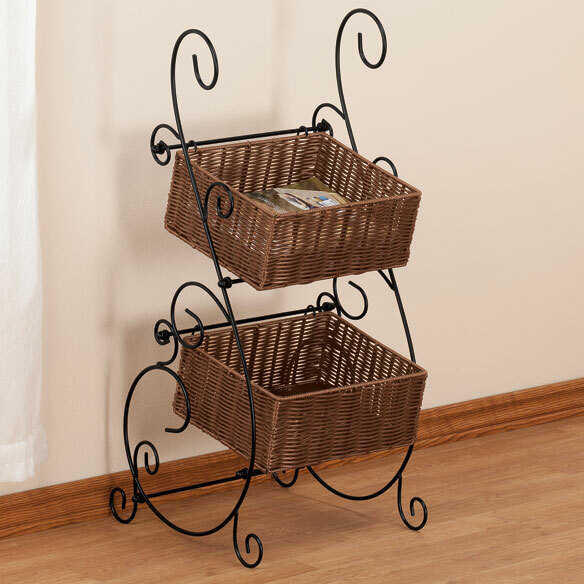 An OakRidge™ exclusive, the black metal and dark brown wicker storage baskets complements any furniture and home décor. 13 1/2”L x 16”W x 33”H overall. Wicker baskets are 12”L x 10 1/4”W x 4 3/4”D.